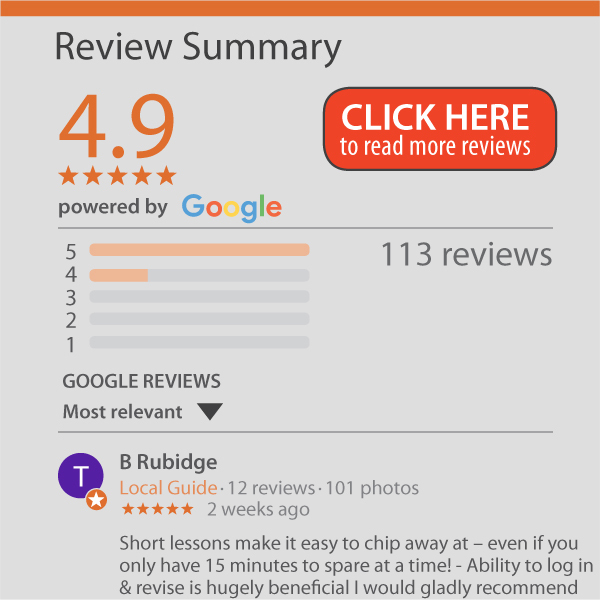 A very common issue in business is how to combine Actuals, Forecasts and Budgets into an automated report pack (easily). Some clients were taking 2 weeks to get everything together even though the information was available 5 days after month end. The reality is that combining data generated from systems should take hours, not days! Ideally all this information sits within a single accounting system and MS Excel is not needed. 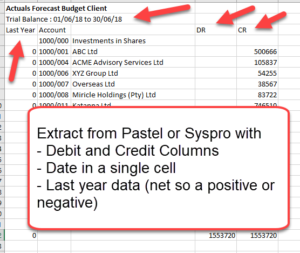 However, this is less common than it should be and especially the Budget and Forecasts are generally in MS Excel format. Selection of which month is the current month to inform the reports up to where the actuals are pulled through, after which the revised forecast fill in the rest of the year. As a result you have an increasingly accurate view of what year end will look like. 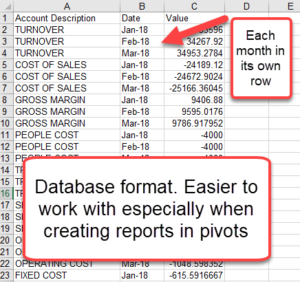 Creation of a single database which contains all the information combined to allow for customised reports via pivot tables. 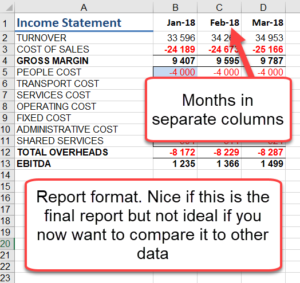 Automated management reports built in MS Excel without needing Pivot Tables (Pivot tables are hard to format in exactly the way management want the report to look). 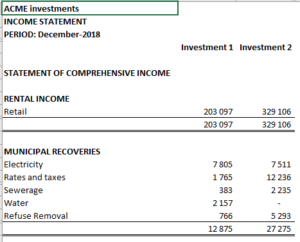 Creation of a detailed variance report on a month and year to date basis comparing actuals versus budgets vs forecasts as well as on an investment by investment basis. For more information contact adrian@AuditExcel.co.za .